Situated at the end of the Baja Peninsula, Cabo San Lucas is perched where the Pacific Ocean and the Sea of Cortez meet. 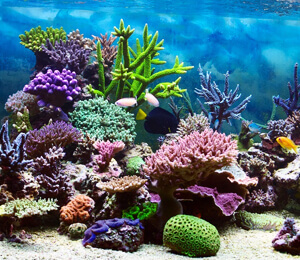 Warm waters, balmy weather and a preserved habitat create a safe home for a jaw-dropping variety of tropical fish and other sea creatures. This beautiful part of the Mexican Riviera offers particularly fantastic snorkeling spots in the marine preserves of Santa Maria Bay and Cabo Pulmo. Marine explorer Jacques Cousteau once called the Sea of Cortez the “the aquarium of the world” due to its ideal environment for an incredible wealth of marine life including unique creatures like the vaquita marina, a tiny porpoise listed as an endangered species. Following are the major reef snorkeling spots in Cabo San Lucas. 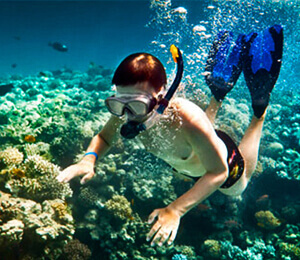 Snorkeling is fun-filled recreational activity that lets you observe amazing sea life using just mask, snorkel breathing tube and a pair of fins. Cabo San Lucas snorkeling tours are a cheap and fun way to explore the amazing world beneath the sea. 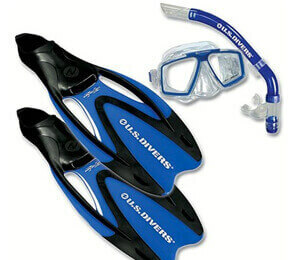 Before you set off on a Cabo San Lucas snorkeling adventure, you'll need to rent or buy some basic gear consisting of a mask, a snorkeling breathing tube and a pair of fins. If you choose to buy your own, you'll find an incredible range of options available. Following is a short sketch of what you'll need to do some Cabo San Lucas snorkeling. Many guests on Cabo San Lucas snorkeling tours wonder whether it is better to wear a scuba mask or swim goggles while snorkeling. 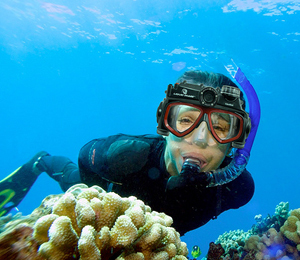 Diving masks are made especially for snorkeling and scuba diving, and most are fairly large and rectangular, reaching from high on the forehead almost to the bottom of the nose. Swim goggles are generally round or oval in shape, are smaller than masks and fit closer to the eyes.